If you give me one choice of pie, it’s going to be coconut. Important: do not judge this pie on my inability to photograph it! UGH YOU GUYS. I am the worst at photographing pie. Probably because it takes patience and patience is something that I just do not have. Plus, pie gives me anxiety. Anx-pie-ety? And my slightly-a little too much-overgolden pie crust edges. I know nothing. Trust me not. But I swear it’s too good to end up in my recipe disasters. If you’ve been around for a bit, then you know that I’m a coconut freak. I’ve made no joke about that in all of these eight years. I LOVE COCONUT. All the coconut things. On the flip side, Eddie hates coconut! He doesn’t mind the coconut flavor (like, um, coconut rum) but he can’t stand the squeak-beneath-your-teeth texture. And if you’re the same way, then I have to say that you will NOT like this pie. Mother Lovett made a killer coconut cream pie. Last year, my brother replicated it for easter and it was so good. This year, I spied a coconut custard pie in food and wine and was like, WHAT is that?! I’ve never heard of coconut custard pie. But I knew that I needed it in my life immediately. ASAP. Like, last week. I was dreaming of it! I really liked it. Thought I must say, it’s suuuuper different from coconut cream pie. Obviously! It’s not fluffy and creamy and pudding-like. It’s very thick and custard-like (again… obviously… please give me a thesaurus PLEASE) and FULL of coconut texture. It’s not like it’s chewy, but it’s so packed with coconut that you get the whole coconut chew factor, bigtime. 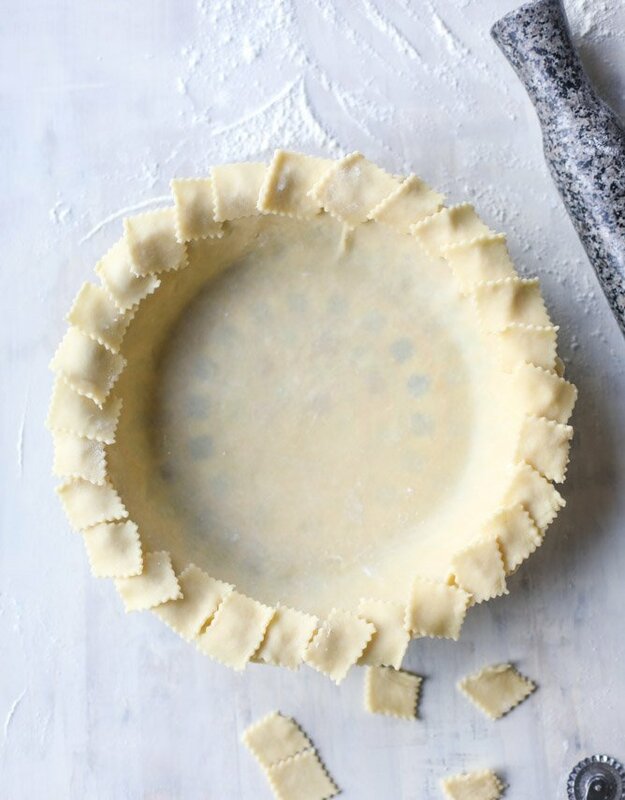 To bring it all together, I used Mother Lovett’s pie crust (the recipe below makes a few crusts, so freeze what you don’t use!) and then I topped it off with coconut whipped cream. Food and wine called for ice cream on top, but I just couldn’t do that. It seemed so… different. I needed some sort of good whipped cream and coconut it was! Of course. I added just a touch of vanilla, so coconut vanilla whipped cream. Hello, I’d like to eat that with a spoon alone. Yes, so basically this is a coconut bomb. I wonder if it would be appropriate to have this AND a coconut cream pie at Easter? I’m thinking so. After 30 minutes, preheat the oven to 375 degrees F. Roll the pie crust out into a 12-inch circle (if you’re using a 9-inch pie plate). Fold it in half to pick it up and gently place it in the plate, unfolding as you go and trimming any excess off of the edges – you can also use a fork (or another decorative idea!) to press the edges down. At this point, I covered my crust with parchment paper, filled it with dry beans (or pie weights) and bake for 10 minutes. Once finished, tap any bubbles on the bottom with a fork. Whisk together the sugar and melted butter until combined. Whisk in the eggs and the buttermilk. Whisk in the vanilla and salt. Fold in the shredded coconut. Pour the custard into the pie crust. Bake it for 45 to 50 minutes, until the center isn’t jiggly and the custard is golden brown on top. If needed, you can cover the pie crust edges with foil if they are getting too dark. Let the pie cool completely. Right before serving, make the coconut whipped cream and top the pie with it. Sprinkle on the toasted coconut. Open the cans and discard the liquid (use it in smoothies! ), then scoop the firm coconut meat into the bowl of your electric mixer. Beat on medium-high speed until completely whipped and thick. Beat in the vanilla extract and powdered sugar. Spread it on the cooled pie right before serving. Sprinkle with toasted coconut! P.S. this adorable pie plate is from MacKenzie-Childs! super cute. No no… you are doing amazing photos. I am the worst cake photographer. Just today I was angry, I had a great cake and I just cannot make photos..
That pie dish!!! Omg!!! Also, the pie looks heavenly and delicious so pat yourself on the back for your photography! And so much coconut, I love!!! i want to plunge my face into this!!! I love coconut things….that texture sounds like a total dream. happy Friday, Jessica! As they say, you eat with your eyes…….I’m having trouble getting the whipped cream out of my eyelashes. Love the ravioli style border on the crust. 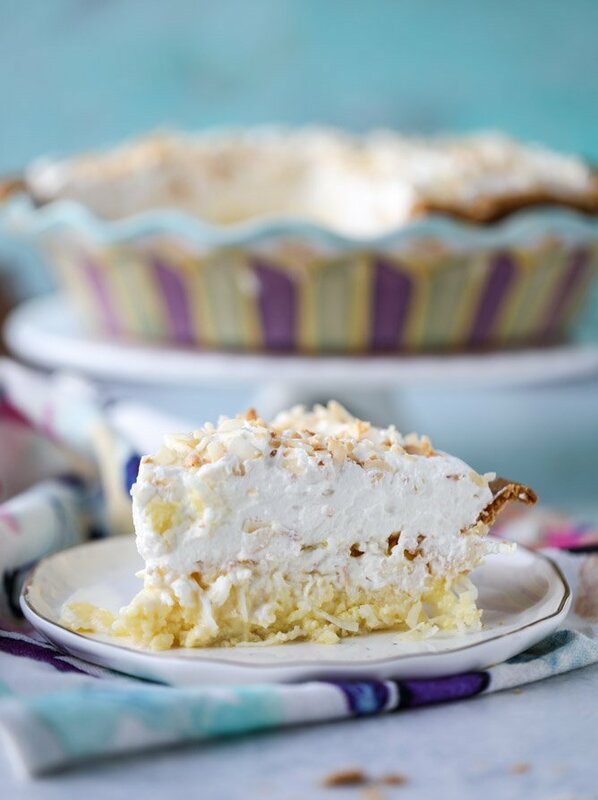 Oh, coconut cream pie and Easter go so well together. This pis looks divine! We love coconut! But over half my family is lactose intolerant. So I’m thinking you could make the custard with coconut milk and it would be lactose free! What do you think? This looks absolutely divine Jessica!!! LOVE THIS MASHUP. coconut custard sounds like something I need in my life! You are amazing!! I just love your blog. My mom passed away last June at the age of 90. I would bring her a piece of pie from my bakery, and clench my hand to my mouth, hoping she would approve. She was always coaching me on my crust. I felt my mom speaking to me and felt compelled to pass the along – haha! Keep up the great work. 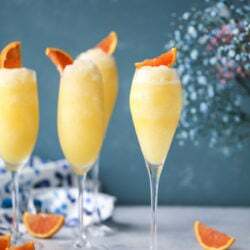 I just love your recipes AND photography! Is the powdered sugar in the coconut whipped cream required? Like, is it more for taste or to stabilize? I ran out of powdered sugar and am too lazy / cheap to go to the store for just a tbs if it’s not complete necessary hahah.